Some of the top stories in real estate this week include the answer to a question many homeowners have in the face of increased home values: Does a home equity line of credit make sense financially? Other articles answer more questions: If there are more buyers looking than homes available, why are new home sales sluggish? What can Millennials do to get themselves into their first home? Are you following the rock stars of real estate to help further your own career? Happy reading! As home values continue to rise, many homeowners might be considering taking out a home equity line of credit. But is it a good idea? Maybe—but it depends on how responsible you are with money. 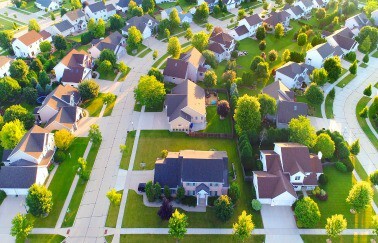 The median price for newly constructed homes is at an all-time high, and many experts point to that reason for sluggish sales. What does the future hold for homebuilders and homebuyers? Millennials face a number of obstacles when it comes to taking the plunge into homeownership, not the least of which is a small supply of affordable homes. What can these potential buyers do to snag their very own American dream? Looking for a way to educate potential homebuyers—and pick up new clients at the same time? Consider holding a buyer boot camp. These workshops are designed to walk homebuyers—and sellers—through the complex real estate process, and participants often decide to work with the real estate agent holding them. Newbies to the business: You have plenty to learn about the market, and these are the real estate rock stars who can help educate you.